As usual, Bee is a Camaro, but that might be a little hard to tell from the ridiculous number of modifications that have been done to the car. 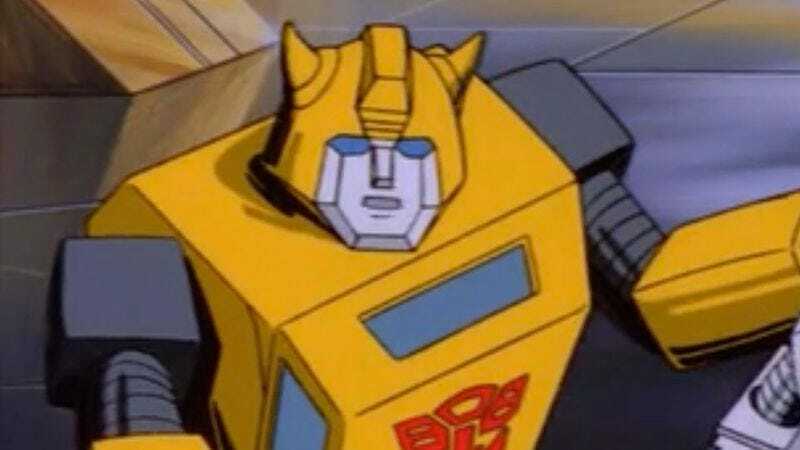 Bee was a relatively stock Camaro in the first movie, and each sequel has updated him to the latest and greatest model to maximize his advertising potential for General Motors, but Bay really seems to have crossed a line here. This Camaro doesn’t look like one that a human would or could actually buy, it looks like one from a video game where a kid put in too many cheat codes and broke the system. When car nerds see this in the movie, they’re not going to wish they could run out to their local Chevy dealer and take one for a test drive, they’re going to wish they had gone to see a Challenge Of The GoBots movie instead. Of course, nothing has ever prevented these Transformers movies from making a ton of money in the past, so a horrible abomination of a Camaro probably won’t make a dent either. We’ll know for sure once The Last Knight hits theaters on June 23, 2017.